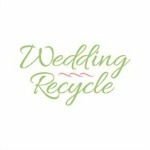 If you are having an intimate wedding or perhaps an outdoor wedding, chances are your guests will get their glasses or drinks mixed up. To prevent this from happening; and to let your guests be creative; and give your guests a great keepsake, you can give them personalized guest glasses! 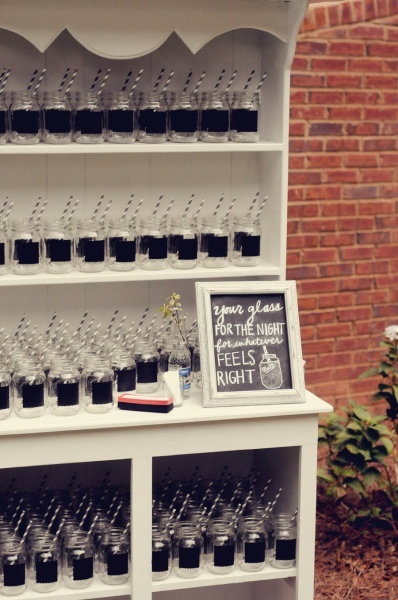 These are mason jars with a chalkboard area on it. Each guest will get one to personalize on their own and use it for the entire wedding! Awesome idea!! You can either use chalkboard paint on the jar or a chalkboard sticker. The latter is way easier!